Hot Stamp Foil is an essential element of the hot stamping process. Serving the same purpose as ink or paint, foil is a thin film coated with the layer of color that will be transferred onto your packaging via the hot stamping process. 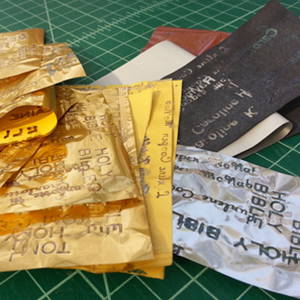 Black and Color Hot Stamp Foil is suitable for use with all Hot Stamp Models.